Back in the day everyone who was anyone played this historic western theater. 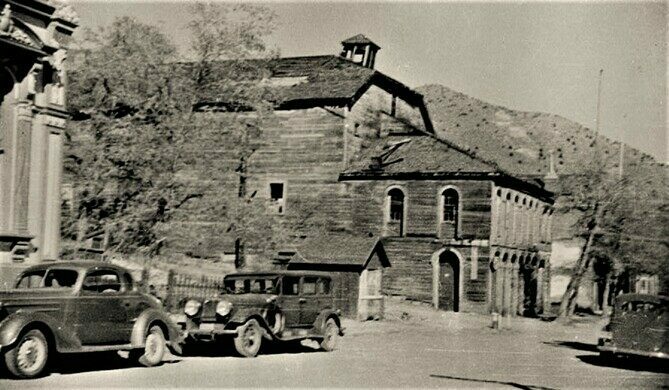 Virginia City was not only a big, splashy Warner Bros. movie and setting for the TV show “Bonanza,’ but back in the days of the Comstock Lode it was an important stop on the western theater circuit. 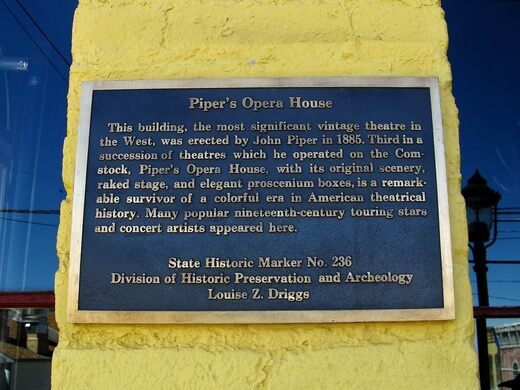 And the center of culture and civic pride was Piper’s Opera House. 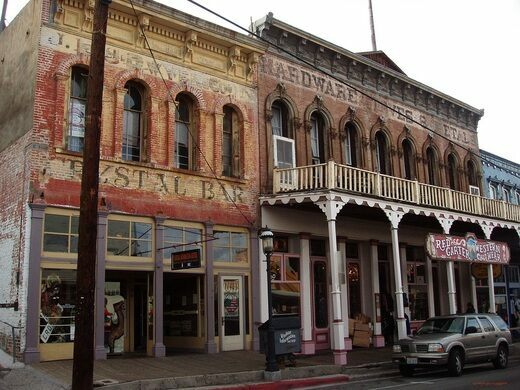 Today Virginia City is a small town of under a thousand people, but in the late 19th century, at the height of the Nevada silver rush, the population reached 25,000. That meant a lot of Comstock Loders to keep occupied. Piper’s seated nearly a thousand people, and typical of “opera houses” of the 19th century, it rarely, if ever, saw an opera grace its stage. It was an eclectic venue–more of a music hall–but never too booked to find room for a political debate or revival meeting, a down-and-dirty bear fight, society dance, or even the occasional boxing match. Piper’s hosted the best-known performers of the time, including Lily Langtry, Edwin Booth, and Lillian Russell. Samuel Clemens gave some talks too–a local newspaper man who not only called Virginia City home, but here turned himself into Mark Twain. In later years, when Vaudeville took over, big acts like Enrico Caruso, Marie Dressler, Al Jolson, and Harry Houdini all made sure to book themselves into Pipers. 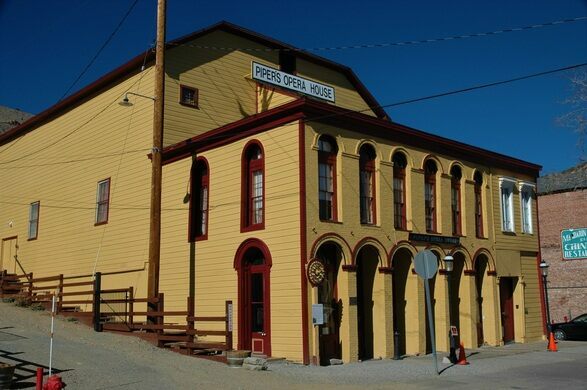 The Opera House that stands today was built in 1885, but its history goes back to the 1860s. 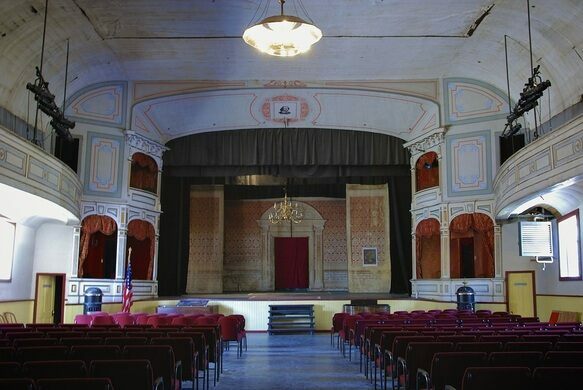 John Piper, a German immigrant, legislator and one-time mayor, bought his first theater in 1868. 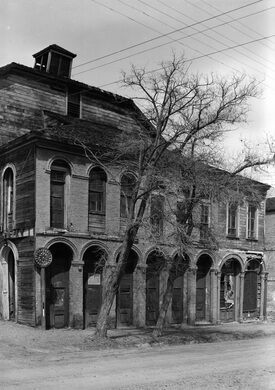 It was destroyed in 1875 in Virginia City’s Great Fire, a blaze that burned out a full square mile of the town. Piper built a new theater a couple of years later, and that one burned down too. But third time’s a charm, and in 1885 he built again, and the place has been standing at the corner of Union and B ever since. By the beginning of the 20th century the lode was on the decline, and so was Virginia City. The old hall held on as a movie theater, roller rink, and even a makeshift gymnasium, but by 1929 it was time to call it quits. The doors were shut and the building sat vacant for a few decades. 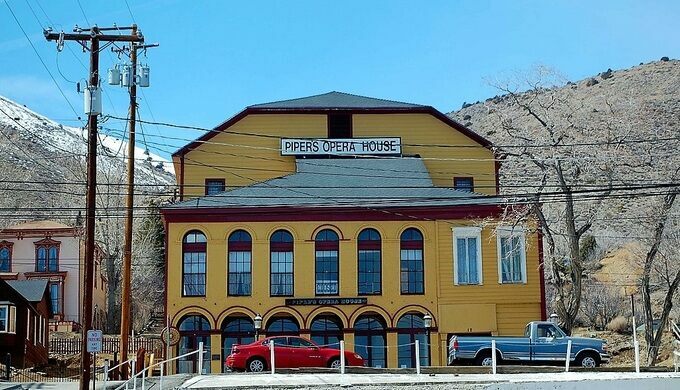 Eventually the old theater was restored, an effort led in the 1970s by Piper’s own great-great-granddaughter. 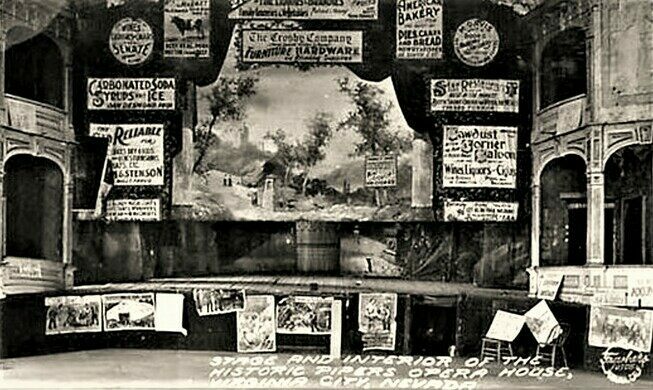 It’s now on the National Register of Historic Places, and with help from the state of Nevada and the National Park Service, the boards are still being trod in this vestige of the old days of music hall, Vaudeville, bear fighting and silent movies. You know… the good old days. Virginia City is 25 miles south east of Reno, 15 miles northeast of Carson City, and 20 miles east of the California border. 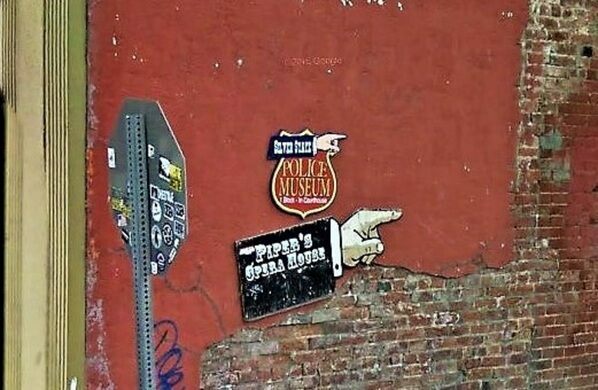 Piper's Opera House is on the western edge of town, one block up from the old Courthouse (now County Assessor's Office). The theater has music, performances and civic events, and you can book a wedding there too. Out front on B Street, the Old Corner Bar is open for lunch, dinner, and - they say - the best Bloody Mary in town. Or maybe have some whisky, water back. Just like the old days. The smallest country in the world.